We offer the very best in personalised picture gifts and our quick, easy service means you could be using your new personalised mouse mat in as little as 72 hours! It couldn't be simpler. Just choose your favourite snap, from family photographs to pictures of a much loved pet, and leave the rest to us. You can rest assured that your personalised mouse mat will be premium quality and picture perfect thanks to the latest in digital minilab technology. We make each personalised mouse mat from high quality rubber and coat every photo mouse mat with a special top surface to ensure a premium long lasting finish that not only looks good, but also helps the mouse to glide more smoothly over the surface - making it easier to use. 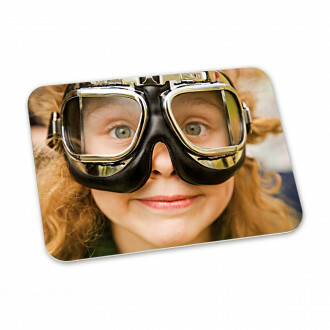 Our team of trained and experienced lab technicians understand just how precious your photographs are, so when it comes to turning your shots into personalised mouse mat we make sure we get it right first time, every time.